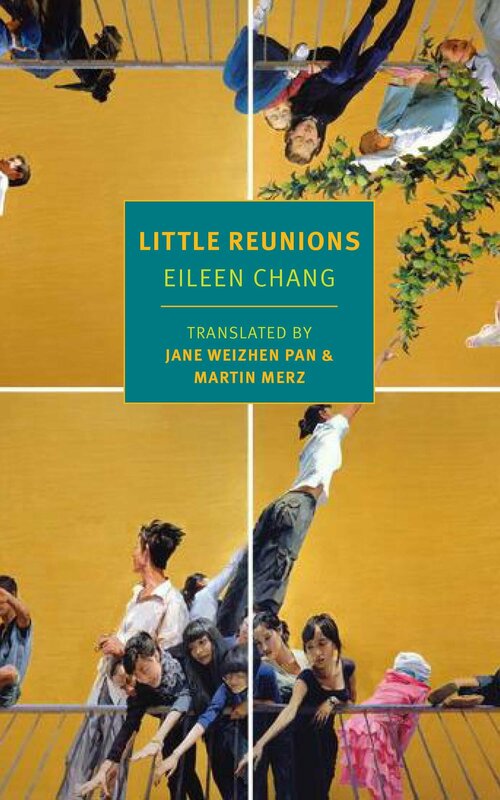 The appearance of this fluent translation by Jane Weizhen Pan and Martin Merz is perhaps the last entry from Eileen Chang’s back catalog weighty enough to shift the scales of literary reputation. Some 25 years after her death, the case for Chang’s place in the Sino literary canon, based largely on a handful of magazine stories, is by now well-known: alone among mid twentieth century Chinese literati constrained by the heavy burden of narrating history, Chang boldly affirmed the primacy of interior life. Her stock soared in newly democratic 1990s Taiwan and inspired an emerging generation of mainland Chinese writers like Shanghai-based Anni Baobei. Little Reunions recycles many familiar Chang tropes: her dysfunctional aristocratic Shanghai family, her war-interrupted studies in Hong Kong, her masochistic romance with a traitor, her early celebrity as a writer. As the novel begins, Chang’s literary alter ego Julie Sheng is in Hong Kong preparing for university exams, mentored by British teachers, perturbed the unannounced visits of her emotionally unavailable mother, and distracted by by the anticipated Japanese advance. The early chapters deliver elegantly translated pellets of Chang’s signature detached observational style and a delicious misanthropic chill in comments like, ‘Sally was not a petite girl – she had an ample bosom – but was ever so childish’. Surfaces are sensually rendered, particularly clothes, from Sally’s’ ‘thin light-pink wool cheongsam printed with light blue puppies and parachutes’ to Jenny’s ‘blue wool overcoat with red and white specks’ which she wore ‘indoors and even at mealtimes.’ Chang ironically delineates differences in manners between the female mainland students and Hong Kong ‘ornamented beauties’. Chang’s cool precise descriptions, reminiscent of her great American contemporary Jane Bowles, are spiked by preternatural attentiveness to light and colour, as in an early scene when Julie walks in the campus grounds where, ‘The sun had baked the red flowers in the blue ceramic flower pots, and had transformed them into little black fists, and had bleached the sea to a faded blue, like old blue linen drenched in sweat.‘ This play of light seems a mimesis of the elusiveness of meaning which informs Chang’s radical refusal to judge even as she speculates about characters’ motivations. As with Sylvia Plath, a part of the fascination with Chang’s work rests on her own glamorous and forbidding image, an association of writer and work conveniently justified by her polished style and frequent autobiographical mining. The flaws in the gleaming Chang façade evident in Little Reunions are all the more intriguing, therefore, because of the insights they may offer into the construction of this fictional identity. 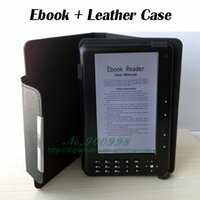 The signature Chang poise is unevenly maintained through this 600 page book and as the storyline lurches forward and backwards to different stages in Chang’s life, there is a suspicion that control may be being sacrificed to a deeper need for psychological processing. This monumental text after all took decades for Chang to chisel out, having being started only after English novels Fall of the Pagoda and The Book of Change covering some of the same autobiographical terrain could not find a publisher. An apparent lack of filter results in a few jarring transitions, as when the narrative leaps from Julie’s honeymoon with her first husband Chih-yung to an abortion she had a decade later in America. There is also some register instability and at times it is almost as if by compulsively reworking the same familiar personal material, Chang is trying to get away from ‘being Eileen’. It is tempting to use such stylistic symptoms in a diagnosis of Chang’s creative drivers, among which, it seems, may well have been her relationship with her divorced and frequently absent mother. Little Reunions may suggest on this evidence a writerly project by Chang to establish control over her troubled relationship with her controversial mother by rendering it in the realm of language. Famously, in Freud’s Beyond the Pleasure Principle, an infant’s utterances of the words ‘Fort! ‘ and ‘Da’ are interpreted as a game to master the mother’s absence by inscribing it within the symbolic register. Chang’s symbolization of the maternal relationship, however, founders on pronoun ambiguity: her birth mother passed her off to her sister to raise, and strangely throughout her life Chang referred to her birth mother as ‘second aunt’, and her adoptive mother’ as ’third aunt’. Moreover, while the Freudian father figure supposedly enforces access to the symbolic order, Julie Sheng’s father, like Chang’s, is a philandering opium fiend who she has never loved. She defies him after he imprisons her in her room for six months and she nearly dies, before fleeing to her mother’s empty apartment. Julie’s fascist-sympathising lover Chih-yung, based on Chang’s first husband Hu Lancheng, may be a desired replacement authority figure, and those chapters dealing with their relationship are often where Chang’s elegant refusal to commit falters most. There is a tendency here for her to tell us things about Julie’s feelings like ‘His nervousness made her feel slightly resentful’, while similar didacticism is apparent in a recounted dream about a palm tree: ‘It was clearly a Freudian type of dream, which Julie didn’t realize also revealed a glimmer of hope: palm trees have only one trunk and so stray branches’. That Chang never attained mastery over her mother’s repeated absences is suggested by one apparently biographical nugget dropped into the text as if randomly; at the end of her life, alone in London her mother contacts her and asks to see her daughter one more time, but Chang denies her dying wish. Ultimately Chang’s intense focus on her private realm, while her greatest strength, may also have restricted her capability to empathise with the wider struggles of her turbulent age. Having returned to China during the Japanese occupation in 1941 to start a fashion business and write for magazines, she left in 1952, even as other Chinese literati like Lao She were idealistically if naively returning to help with ‘nation building’. The reception of her later works failed to emulate the acclaim of those early stories and her 1992 death alone in a LA apartment came after decades in which a writer hailed as an exemplar of ‘pure’ literature occasionally funded herself by penning propaganda novels for the CIA. Eileen Chang has a passionate following today among a privileged younger Chinese generation, focused on their own well financed personal journeys through elite academies, and relationships with complex demanding parents. Such types have shown impressive resilience across the sweep of modern history but China’s highly educated rising generation needs literary role models whose observational flair is allied to a capacity for social engagement. This sparkling translation, however, will only enhance the lustre of her literary brand.